This report describes the gifts that someone in your life is bringing you, based on where their North Node falls in your birth chart.Â Even though these gifts are usually exchanged on an unconscious level, when someone is destined to help you develop in a certain area, they will inevitably impact your life and cause you to grow in that area. Sometimes you can feel their loving influence, and sometimes it may feel like you are making these changes as a reaction against them.Â Either way, their presence in your life will help you to develop the attributes depicted by the position of their North Node in your natal chart. The reason the Nodes function in this way is that there is a certain karma attached to them.Â The House in which a person’s North Node falls in your chart indicates the support they are bringing you in this incarnation.Â Their energy will just naturally tend to enrich you in these areas, with or without their conscious awareness.Â And in the area of your life influenced by the House where their South Node falls, they will tend to diminish you – most likely in a totally unconscious way. So all those who play important roles in your life are there for a reason. Different parts of yourself need to develop at different times in order for you to attain heightened levels of inner balance and vitality.Â You will unconsciously attract those people to you who can bring out the qualities that need to be stimulated at a certain point in your life. It is then up to you to graciously accept their gift, allowing their influence to advance your maturity in that specific way. 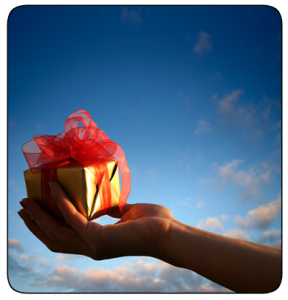 And when you consciously accept another’s gift and grow from it, both parties benefit and a channel of Love is opened between you. Because Amal’s North Node falls in your 7th House, your Soul was calling out for someone to partner with you, or to help you learn how to do partnerships successfully. It’s time to stop trying to live life by doing it on your own, and to experience the joy and support that comes from being part of a team. Amal will immediately recognize your abilities in this area and be totally comfortable with establishing a partnership with you right away. She automatically wants to partner with you and support you in getting what you want – and you are likely to feel the same way. Amal inspires you to be generous with her and to share what you have. She wants to create a kind of co-dependency with you – doing everything together as a team. So when you say: “Let’s do this together!” she usually says “Yes!” and a happy, mutually beneficial partnership is formed in which you are both sensitive to what the other person needs in order to feel supported. You will see Amal’s gifts and feel inspired to activate your own talents. For instance, if you have always wanted to sing, dance, do art, etc. this relationship may create an opening for you to begin performing together. In fact, one of the reasons Amal is in your life is to help you fulfill some of your personal dreams in situations where you may not have had the motivation or opportunity to do it on your own. For example, I had a close friend with this nodal position who was a gifted Tarot card reader. Because of his nodal position I was objectively aware of his talents and could see that his philosophy was very healing for people. So I was inspired to combine my talents with his and we co-created a board game, The Psychic Connection, which had an incredibly positive effect on those who played it. Whether Amal is your child, co-worker, parent, friend, or mate – her energy is automatically going to teach you how to “do relationships correctly.” She may teach you in a positive way, or through her negative example. I have a client whose father has this nodal position. He was mostly absent during the important moments of her life, and she learned that this makes relationships NOT work. Now she makes a conscious effort to be present in her important relationships so that she can create results that are different than what she experienced with her father. But he did teach her – in a backwards way – how to do relationships successfully. Amal is “good relationship karma” for you, and will have a good effect on all your other relationships and partnerships. She would be a great relationship counselor for you, as she can give you good advice about how to handle your interactions with others. And because the 7th House also rules the public, she could successfully act as an agent or coach to increase your effectiveness in relating to the public. When you first meet Amal, it’s likely that she will immediately decide that you are the right person for her and want to move in with you right away and begin a life together – long before you even know how you feel about her! But Amal will be generous with you, and her influence inspires you to open your heart to her. You may also feel you have met your perfect mate. She is bringing you the gift of showing you the potential of creating the kind of primary relationship you have always wanted – a dream come true! With this nodal position, one of Amal’s purposes in your life is to help you become more aware of how you interact with others. She is aware of your needs in partnership and is “there for you” – and wants to do everything with you. Amal is teaching you about true reciprocal support and how to be a good partner. Something about her energy stimulates your desire for partnership and makes you open to learning from her. Amal is bringing you the gift of objectively being aware of another and allowing yourself to love them even though you see their flaws. And because you are so deeply aware of Amal’s identity, issues of enmeshment may arise. In fact, you may feel so much love for her that you act counter to your intuition and your own internal limits. However, part of successfully receiving her gift is learning how to prevent this from happening. A strong team is based on two people maintaining their own identity. As you accept Amal’s gift of herself as your “significant other” you will learn about the potential and joys of primary relationships. And when you allow her to teach you about partnership and cooperation, you bring out the best in her. In fact, it may become a mutual learning experience as you find patterns of unconscious co-dependency that need to be addressed. Then you can work together to heal these dysfunctions so you can experience the joys of a healthy, interdependent primary relationship. One of the reasons the Universe has brought Amal across your path is because you need to enhance the qualities of cooperation, tact, and diplomacy in your personality. It’s time for you to become more aware of the individuality of others and to learn new ways of interacting so that your relationships can be more successful. Because you are instinctively sensitive to Amal, you are naturally more tactful and cooperative with her. This is one way you learn – through your interactions with her – how to relate to others more smoothly. Amal will develop your ability to be diplomatic and help you to become a team player just by virtue of how she interacts with you. Her influence is teaching you patience, tolerance, increased awareness of others, and the art of healthy cooperation. She is helping you learn when it is correct to put the other person first. Also, your response to being confronted in one-on-one relationships will change, as you won’t feel threatened by Amal in a way that evokes defensiveness. If she is upset, you will naturally respond with a “let’s work it out together” approach rather than being combative. In fact, you are likely to never be harsh with Amal. And as you graciously receive her gift of Love and allow her to help you become more cooperative, diplomatic and tactful in your relationships, a channel will open for a greater flow of Love between you. Amal will help you break the habit of projecting your identity and level of integrity onto others. In relationships, it’s important to recognize who the other person really is so that your decisions are based on accurate information. This is vital because a person will always take action in accordance with their own true identity. So it is to your advantage to understand that the character flaws you see in Amal will indeed impact your relationship. This is where your integrity comes into play: rather than ignore “red flags,” it is important to be honest with yourself and acknowledge them. Then you can decide whether you can accommodate that quality, or if you want to ask the other person if it is something they are willing to change. For example, regardless of the image Amal presents to others, if she is dishonest with money you will see that quality in her. And that dishonesty – rather than any idealistic expectations you may have – will, in the end, be what dictates her behavior because it is part of her identity – unless she consciously decides to change it. Also, if Amal is giving you mixed messages, pay attention to that: let her influence help you learn to trust your own instincts about what you observe in others – without judgment, but with an objective appraisal of who they really are as an individual. Then you can use discrimination and partner with people whose character is truly compatible with your own. Amal is not only making you aware of how she is, but of how she needs you to be in order for the relationship to work at an optimal level. She is bringing you the gift of opening your sensitivity to “the other.” However, this can lead to so much forgiveness for her that you avoid giving her a true picture of yourself. You understand Amal so deeply that you may compromise your own integrity in order to avoid saying anything that will hurt her. The challenge here is to communicate the truth of what you feel in a loving way that validates the relationship. For example: “For our trust and closeness to really thrive, we need to follow through by calling each other when we say we will.” Amal is helping you recognize that the success of any relationship will depend not only on the other person’s integrity, but on yours as well. And tactfully sharing your ideas with her about “what works” in terms of team integrity can also help her to grow. Another gift that Amal gives you is to help you overcome any judgmental tendencies that may have been blocking your involvement with others. She opens the doorway for you to love someone unconditionally because of your ability to see her more clearly and understand her on a deeper level than do others. You see the best in Amal, and she inspires you to love her, even if she doesn’t match the image of someone to whom you would normally be attracted. In the process of Amal bringing energy into your area of partnership, she may inadvertently drain energy from you as an individual. Even though she may not say this or even believe it, somehow her influence makes you feel that the team is the key to your success as an individual, and that supporting the team is the same as supporting yourself. In fact, the biggest danger in this relationship is loss of your own identity. You work so well with Amal that you could have a tendency to become co-dependent. In the process of partnering so quickly with you, she may unintentionally deprive you of your independence and the time alone that you need to nurture your own identity. The results can be that you end up feeling depleted and “off course” in terms of your own life. Even if Amal is a child who eventually moves out on her own, she may have a tough time “letting go” and is likely to try to create a co-dependent relationship with you. But one of her gifts is to teach you how to do healthy relationships – so if she tries to become co-dependent, she needs you to stay in touch with your independence and figure out how to maintain the relationship without losing your sense of self. Whether Amal is a friend, spouse, child, sibling or co-worker, in order to keep the relationship healthy and have it be of mutual advantage, it is important that you take time alone on a regular basis so you can keep yourself strong and remember who you are as a separate autonomous being. Amal will take energy out of the context of “me” and put energy into the context of “us” on such a broad scope that she is not likely to give you good advice in terms of your dress and clothing, hair systems, or any other area having to do with your personal appearance. Amal is not a particularly good influence on your physical body, and probably not the best choice for a doctor, cosmetician, or help with your wardrobe. The words we use to propose things to others are so important. They reflect where we are coming from when we approach another, which is always an important factor in determining the outcome. People are usually willing to cooperate with what we need if we just come into alignment with a presentation they can hear. For example, if you tell Amal: “I want to go to this concert,” she will probably resist your plan. But if you say: “Let’s go to the concert together,” she is likely to be happy to go with you. Of if you say: “I need more time alone,” she won’t “hear” you and may feel hurt or rejected. However, if you say: “I think it will enrich our relationship if we plan things in a way that supports my having more alone time,” she will probably be happy to help you get the time you need. Whenever you need to communicate with Amal, her level of cooperation will be determined by the way you present things and your response to her. So rather than say: “I want you to start doing the dishes at night,” say “I think it would give us more time to spend together if you take on the task of doing the dishes each night.” And as you tune into her identity on a deeper level, she may request that you phrase things in a different way so she can respond more positively. For instance, Amal may say: “I’d rather you use the words I need you to do the dishes each night.” She will tell you what works for her, and your natural sensitivity to her will hear what she is saying. By giving Amal what she needs from you in order for her to be cooperative, a channel for Love and mutual support will open between you. In a significant relationship, this is likely a Soul who, in a past lifetime, deprived you of the benefits of her support. Amal somehow pushed you to be on your own and develop your independence at the expense of having healthy relationships with others. She may have singled you out as “different” than the rest of the tribe, or used your persona to benefit herself in some way. Whatever the specific scenario, Amal was responsible for you feeling apart from others – ostracized and deprived of normal relationships – contrary to your personal desires. This was deeply hurtful to you in ways that may still be affecting you in this incarnation. So this is a “payback lifetime” for Amal, and her contract is to bring you the gift of a happy partnership – either through becoming your partner or mate, or in some way being an influence that attracts a suitable partner to you. Another way Amal may repay her debt to you is by giving you a teaching that re-connects you with others in ways that are more harmonious than you could have ever experienced before she entered your life. Amal has a unique ability to be a catalyst that heals you of feelings of loneliness, isolation, and forced independence when you link with her energy. Her job is to know you so well that she connects you with others on a level that reestablishes your experience of belonging and being part of the whole. In fact, through Amal’s influence you are destined to create relationships that are deeper and more fulfilling than in any past incarnation. Disappointment and difficulties occur in relationships when you expect the other person to show their love and caring for you according to your preconceived expectations of what Love looks like.Â The true power of receiving Love is in allowing the other person to demonstrate their love in alignment with who they really are, and by accepting the gifts they are destined to offer you. The Nodes are operating at a tremendously deep, foundational level in the personality, so wherever a person’s North Node falls in your chart, be open to letting them use their unique ability to teach you how to “get it straight” and be successful in that area. If you resist their gift, you will get nothing but resistance back from that person. You can always get your needs met in relationships if you maintain an objective awareness of this natural flow of energy and learn how to cooperate with it.Â It brings out the best in the other person when you accept the particular gifts that they, on a Soul level, are meant to give you, and it brings out the worst in them when you don’t. For instance, if someone’s North Node is in your 1st House, they are destined to give you the gift of independence.Â If you resist their gift they become frustrated because they can’t do for you what – on a deep, subconscious level – they know they are supposed to do.Â By graciously receiving another’s gifts and allowing their influence to help you develop the qualities they were destined to encourage, it validates and strengthens them and allows the Flow of Love to travel between you. © Jan Spiller; much of the above material is included as part of Jan Spiller’s book Cosmic Love. Powered by AstroGraph Astrology Software. To gain awareness of the special gifts that you are destined to give your partner, and how to consciously activate the flow of Love in your relationship, we recommend Accessing the Flow of Love between You and Your Partner. To discover the purpose behind your partnership, and the best approach for success, we recommend the report Successfully Working as a Team.